GROUND: Hills of morainal origin, based on chalky rocks. Substantial amount of clay in a medium mixture weaving; a four-yearly organic fertilization is the sole natural operation made. 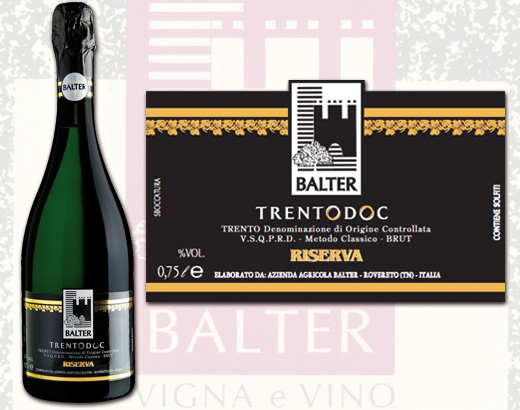 VARIETY: Chardonnay 80 % Pinot noir 20 % – “Fields n. 1 / 12” – Training system: Guyot and modified “pergola trentina” – South-facing. VINIFICATION: Handmade harvest in little cases – soft squeezing out of the entire bunch of grapes – Fermentation both in stainless steel and in small oak barrel. 8 months of maturation on its own yeasts, divided just at the cuvée moment. CUVÉE: Get by the union of Chardonnay and Pinot noir wines maturated, at least for a quarter, in small oak. PRIS DE MOUSSE: Pris de mousse is made by Champagne méthode. DEGORGEMENT: Degorgement takes place after 72 months while the wine lies on the yeasts.